Rebel Hellhound Compact Inside Waist Holster - Right Hand | BUDK.com - Knives & Swords At The Lowest Prices! Comfortable, fast, and affordable the Rebel Hellhound Inside Waistband Concealed Carry Holster is hand-made in the USA and built to keep your handgun well protected and always ready for action. 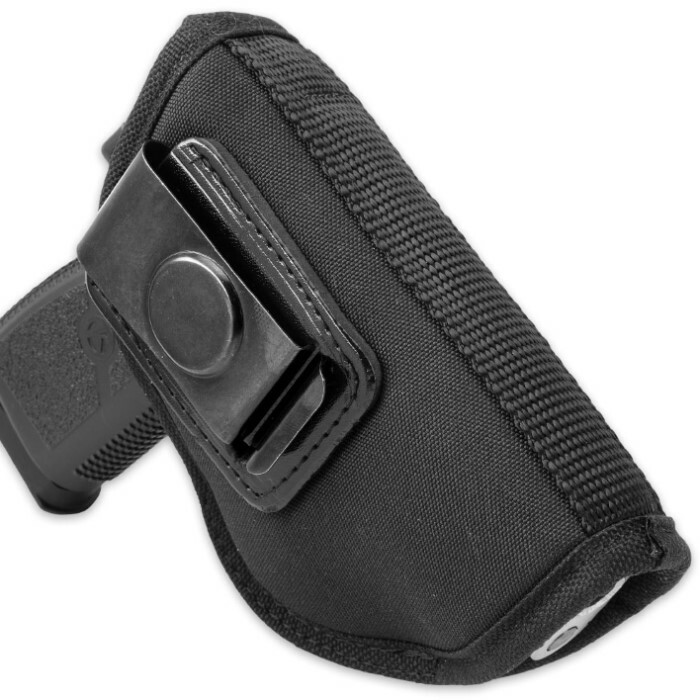 The holster features a water-resistant Cordura shell triple stitched for added durability. The Valera foam padding provides additional shock absorption and comfort. 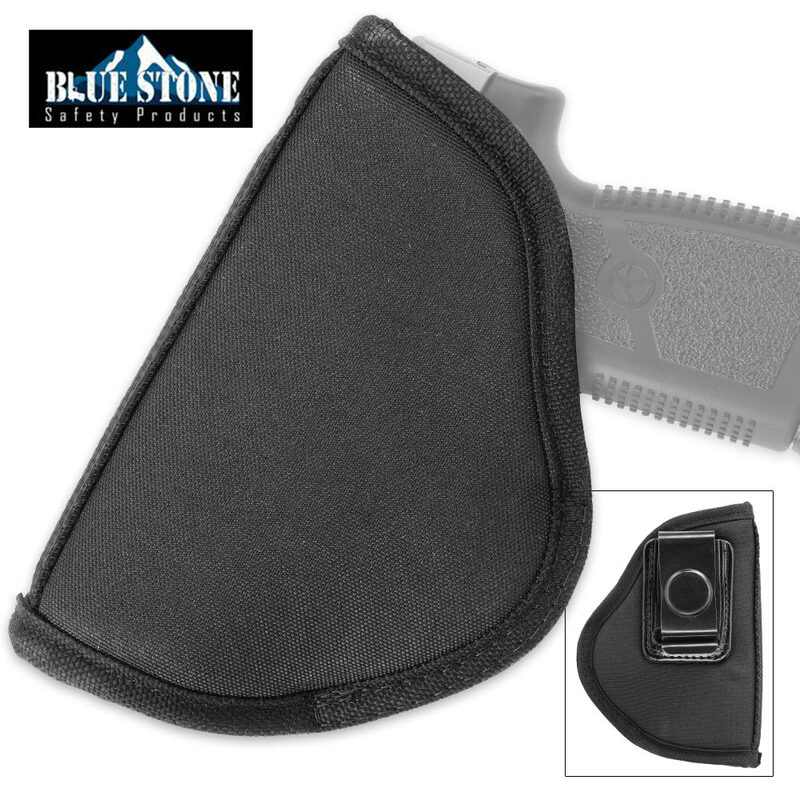 The material on this holster extends beyond the barrel for maximum gun protection and no worries of being pinched by the metal. Extremely durable USA made nylon keeps your gun seated securely in the holster when not in use. Each Hellhound is fitted with a durable black steel belt clip providing an excellent grip on your belt or waistband and preventing it from shifting or sliding out of place. Why settle for less? The Hellhound Holster delivers unmatched American made quality at a price that can't be beat!